Want to know if your heifers are on Target for joining this year? We often hear comments like “They look big enough” or “There are a few small ones but they should grow out”. During summer and autumn months heifers can easily fall behind, even losing weight during this period due to poor quality feed. Pasture quality during late summer and early autumn alone may not be adequate to have weight gains of 0.70kg/day which is a bench mark for the industry. Individual weighing and recording of heifer ID. Actual versus Target for an agreed joining weight. Written report summarizing the weigh event of all heifers. Nutritional advice to improve growth rates. Heifer health advice e.g. worms, fly control and vaccinations. Heifers that reach Target Weight at joining have improved fertility, reduced calving problems, more lactations because they live longer and they compete better in the herd environment as a first calver. The cost of this service is simple, we charge $70.00 per hour from the time we leave the clinic until we return plus an hour of report writing. We require a cattle crush to set up the portable scales inside and someone to help with cattle handling. 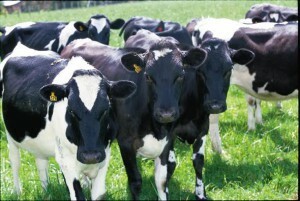 On average we can weigh 60 – 80 heifers per hour. 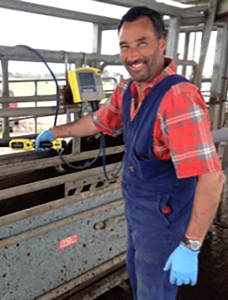 If you are interested in discussing further the Correct Weight Spot Test, have a chat with Phil Keegan at Warrnambool Veterinary on 5561 7666.